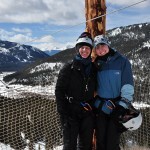 5 HOUR THRILL SEEKERS COMBO: Snowmobiling, Snow Catting, plus lunch & Zip Lining. See the Rocky Mountains from areas never before accessible to the public. Our spectacular 2500 acre private property rests on the splendid slopes of Mt. Arkansas, an almost “Fourteener” at 13,795 feet. Experience two hours of guided Snowmobiling with White Mountain Snowmobile Tours, then enjoy a delicious box lunch served in our cozy high mountain yurt with spectacular views of Mt. Elbert and Mt. Massive, two of the highest mountains in the U. S. Guests will receive gloves, helmet and other equipment, then enjoy a short zip on a practice line before departing from the first take-off deck at 11,200’. Trained and certified zip line guides will accompany participants on the tour. The course has five separate zip lining sections, each with entirely different elements of speed, height and terrain, with cables up to 850 feet, some more than 300 feet off the ground. All zips have double lines for safety. On 4 sections of the course, guests can fly side by side on TWIN LINES with magical views of the snowy alpine tundra just under the lip of the great Continental Divide. 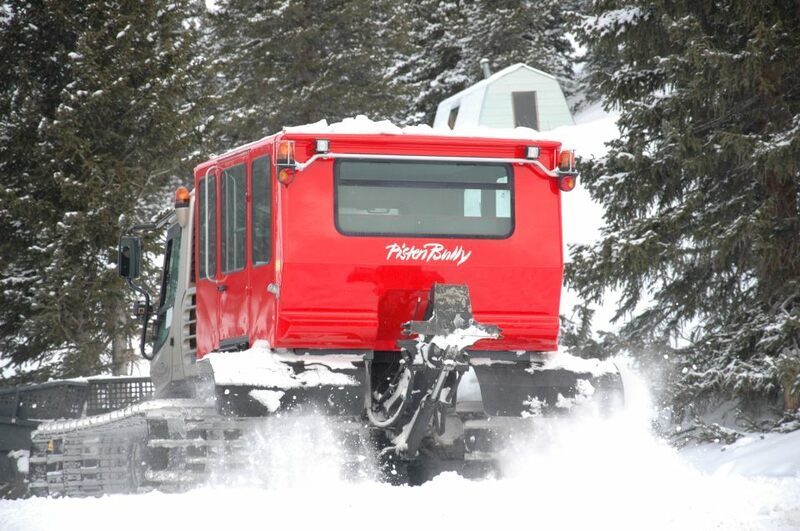 Transportation from Base Camp to the first zip line area on steep scenic winding mountain trails is by snow cat, 6-1/2 ton Monster Truck, or Polaris Rangers, depending on snow conditions. Participants must be able to walk short distances on downhill trails between the zip line areas. All parts of this outstanding tour are guided by experienced snowmobile and zip lining professionals. Free transportation can be arranged from area hotels and condos. Helmets are mandatory and provided. Complimentary coveralls and boots are available if needed, but personal warm winter apparel is appropriate and recommended. Guests must bring goggles or sunglasses as these are not provided. Minimum weight 55 pounds, Maximum weight 260 pounds. *Snowmobiling from White Mountain Tours includes top of the line Polaris 550 RMKs and Grand Touring snowmobiles. *Complimentary insulated coveralls and boots are available, but wearing personal ski apparel is perfectly acceptable and recommended. Helmets are mandatory and provided free of charge. Ski helmets are acceptable for zip lining but not for snowmobiling. Bring warm gloves, goggles or sunglasses for eye protection as we do not provide these items. 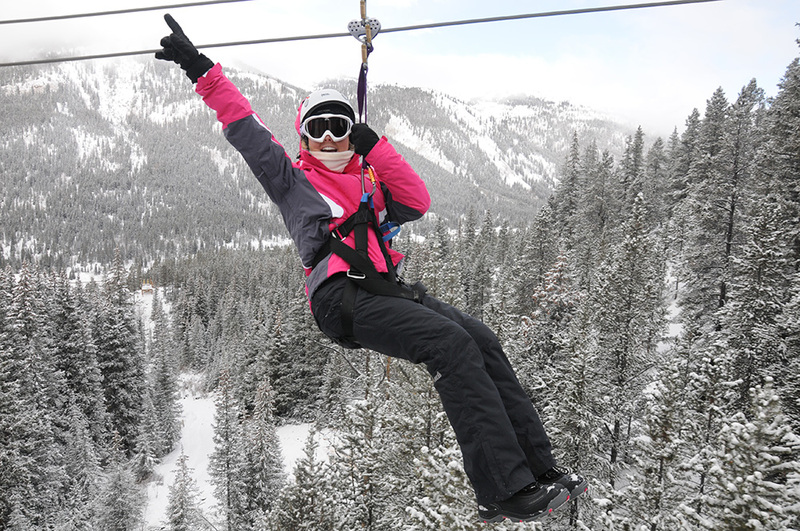 *Top of the Rockies Zip Line is licensed by the State of Colorado and inspected to the highest standards in the industry. Zip Line guides are trained and certified in all aspects of zip line operation. Reservations are recommended for all tours. A credit card number is required to hold the space but payment is not required until check-in at tour time. We have a 24 hour non-refundable cancellation policy. Changes to reservations (except additions) must be made at least 24 hours prior to tour or a charge of $10.00 per person will be made. At check-in, guests must present a valid credit card to be used in the event of damage. Safety and customer service are our first priority. All guides are certified in first aid, CPR, Avalanche Training plus other medical and wilderness credentials.